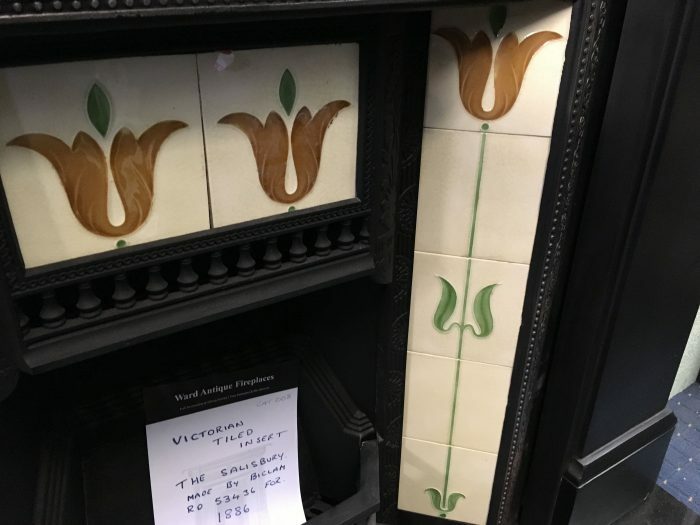 Welcome to the Tile Shop. 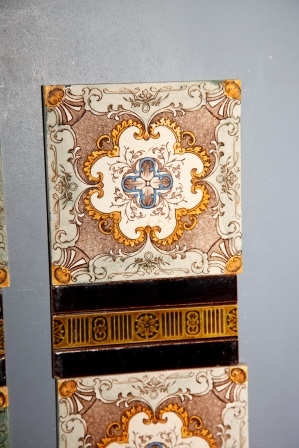 Here you will find various tiles that we offer. 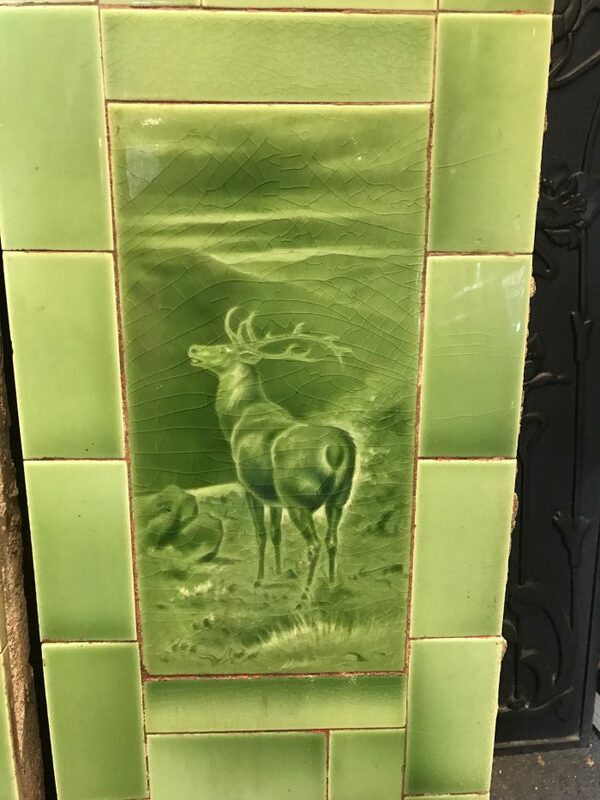 'The Stags' By Sherwin & Cotton circa 1880. 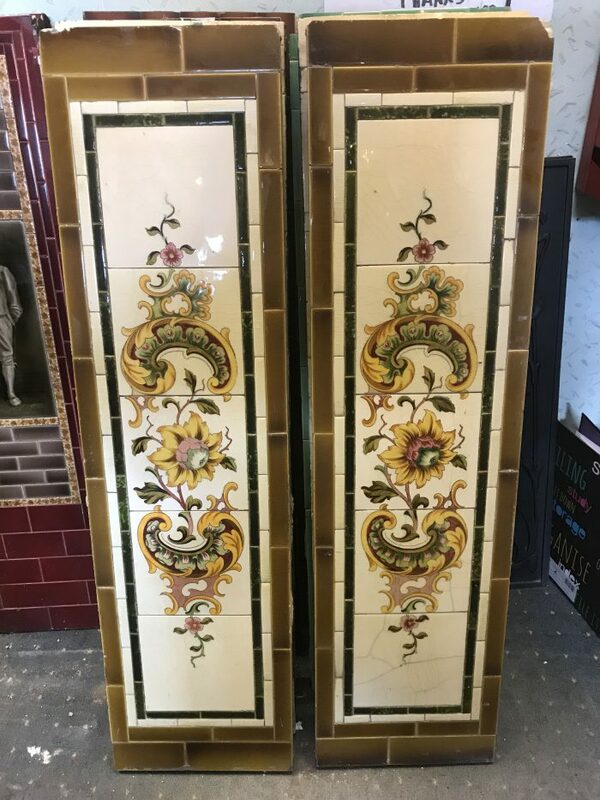 Please note these panels will not fit in a tiled insert or tiled register, only in an interior. 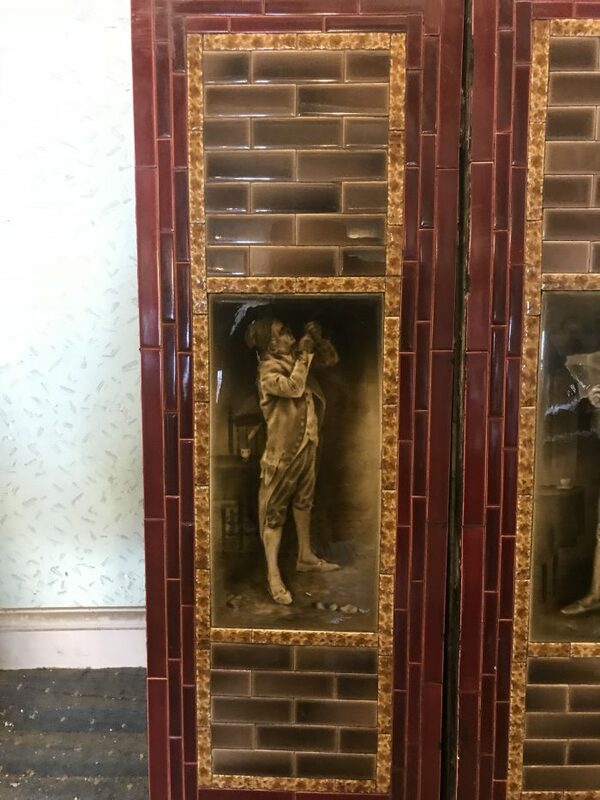 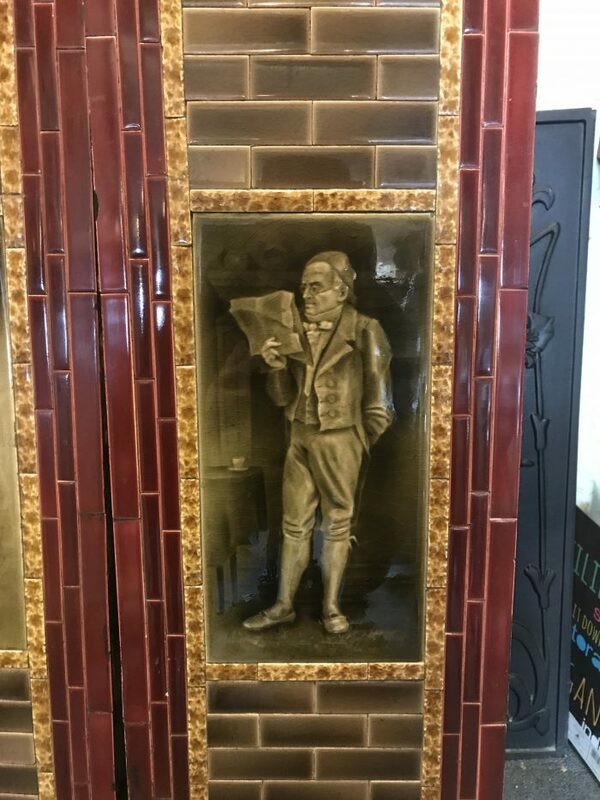 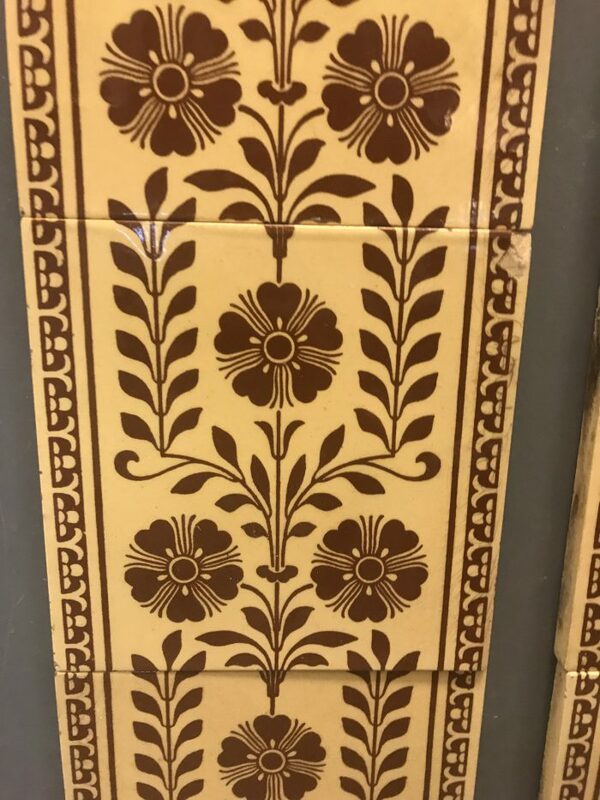 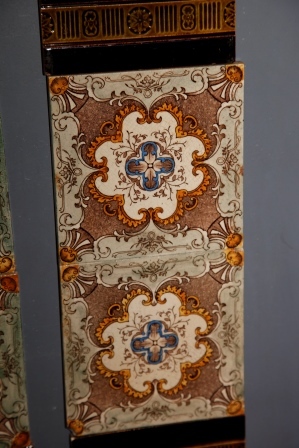 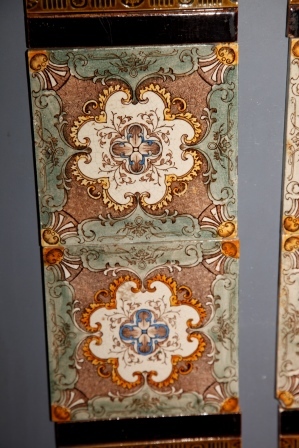 Brown tiled panel by Sherwin & Cotton circa 1880. 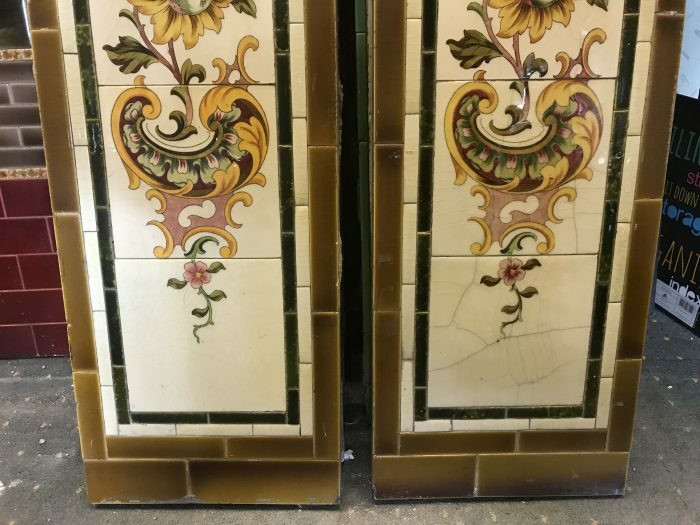 Please note these panels will not fit in a tiled insert or tiled register, only in an interior. 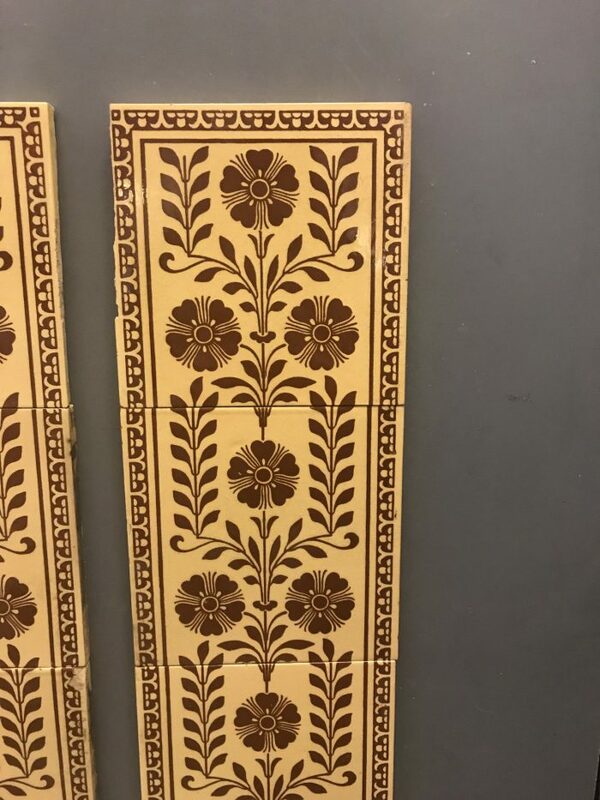 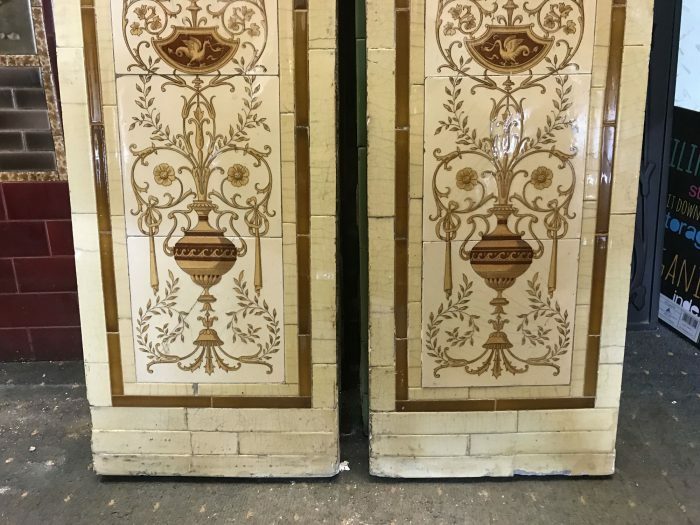 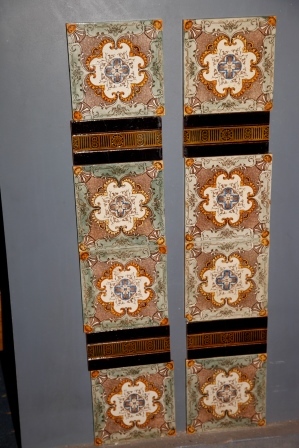 Minton classical tile panels circa 1880. 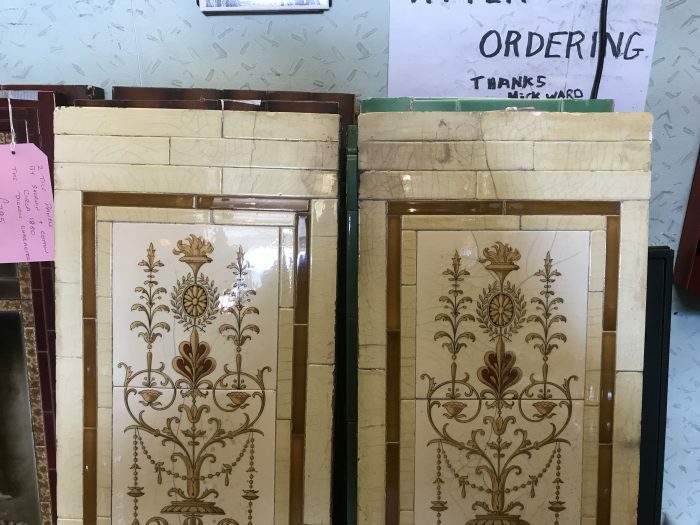 Please note these panels will not fit in a tiled insert or tiled register, only in an interior. 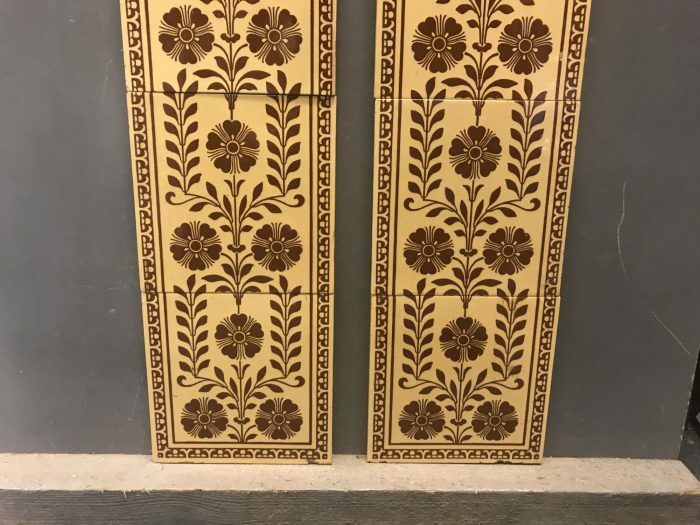 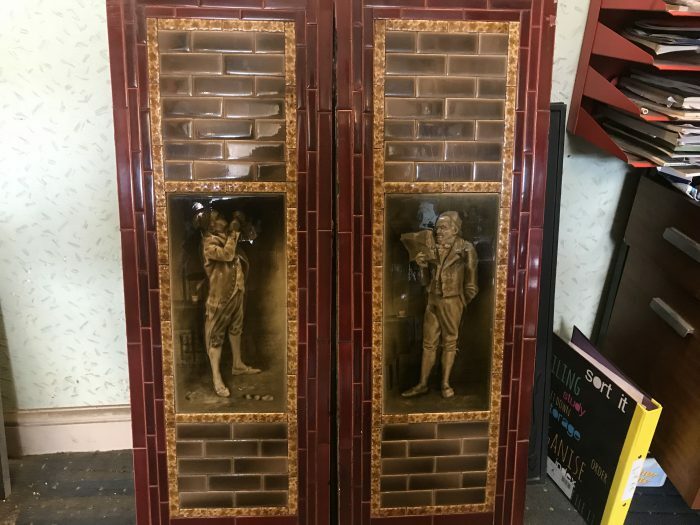 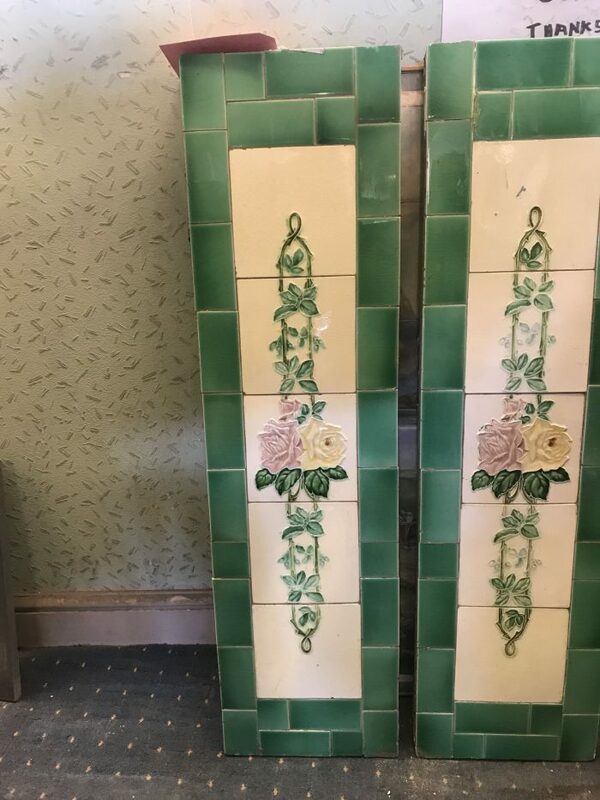 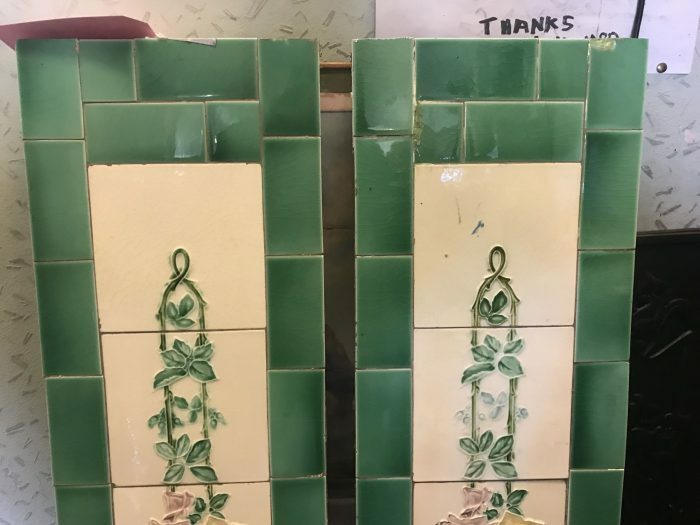 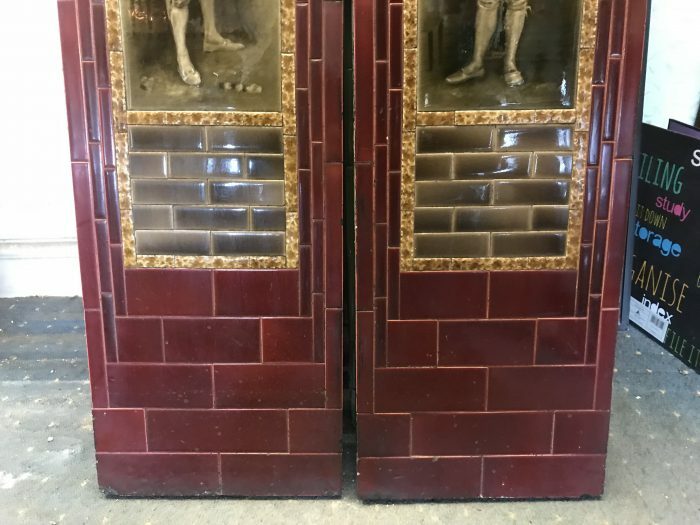 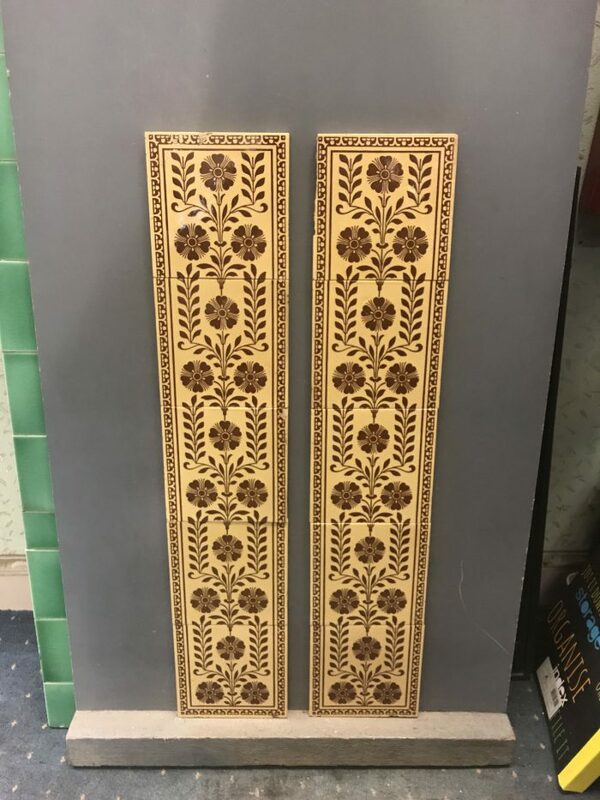 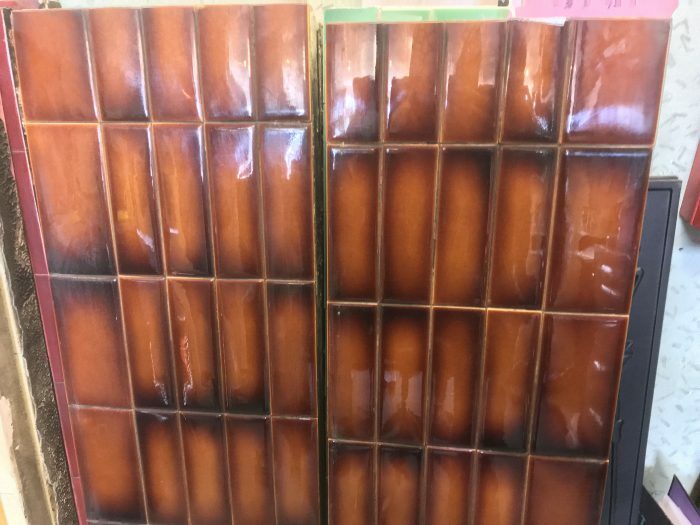 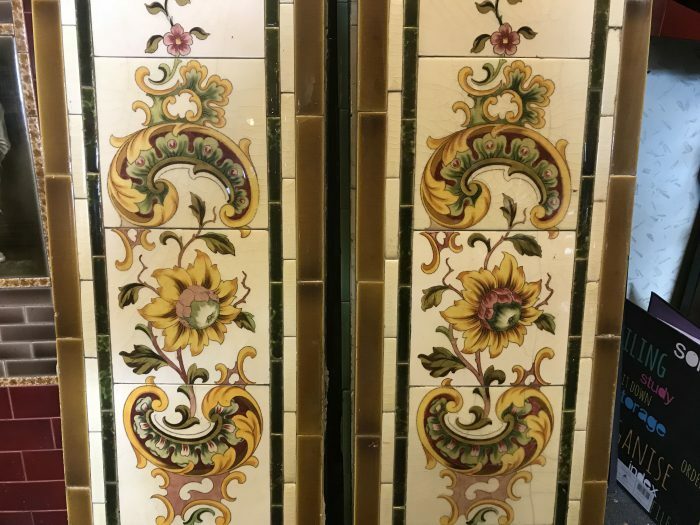 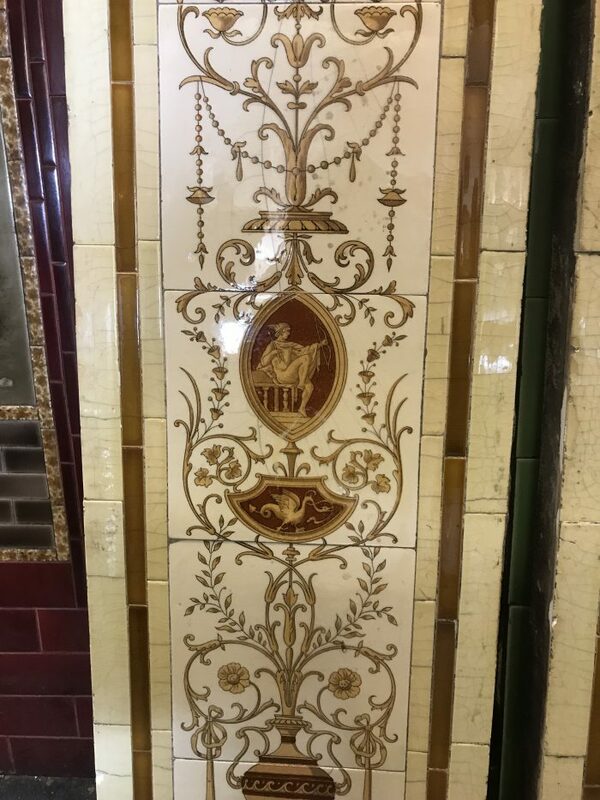 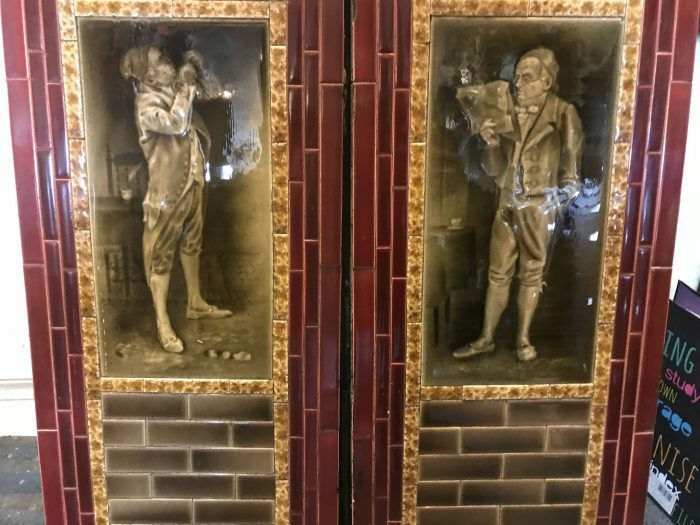 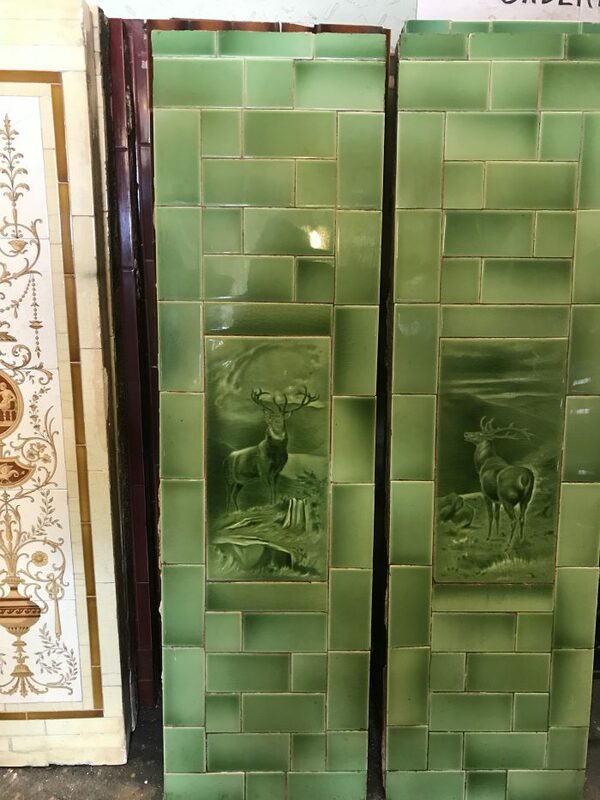 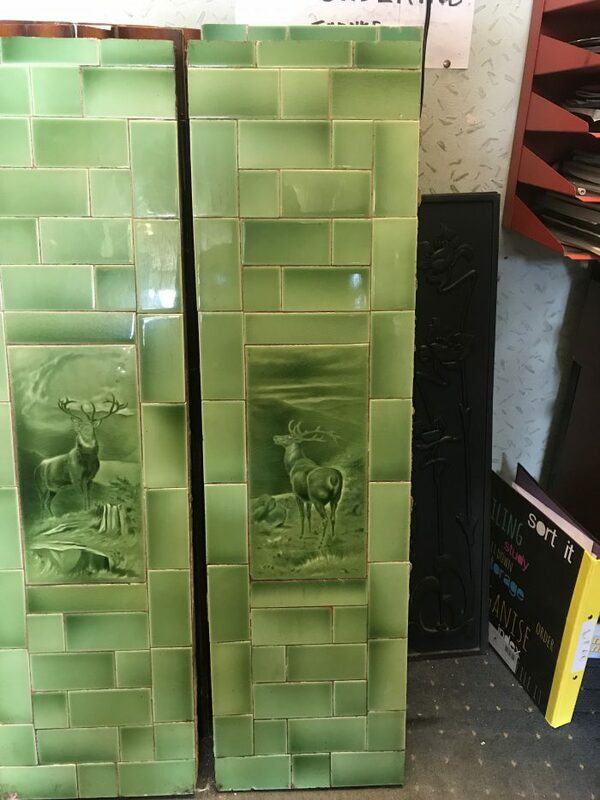 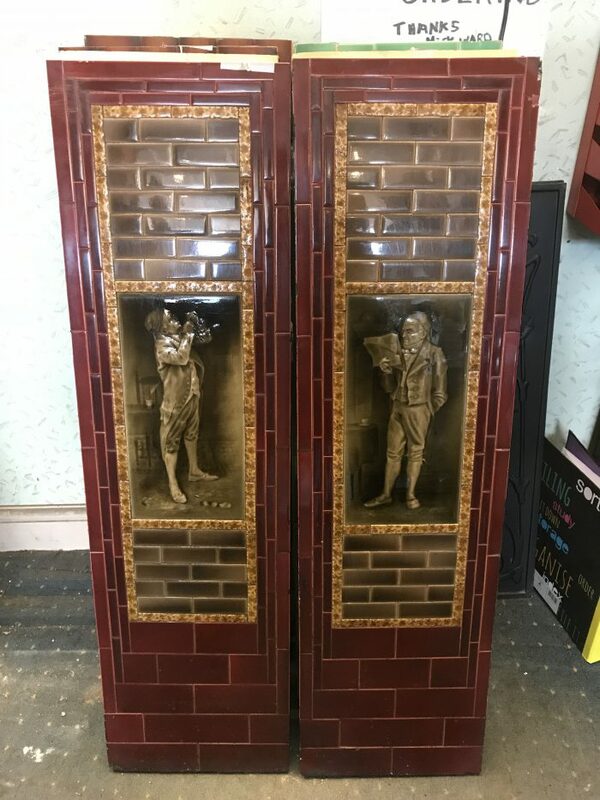 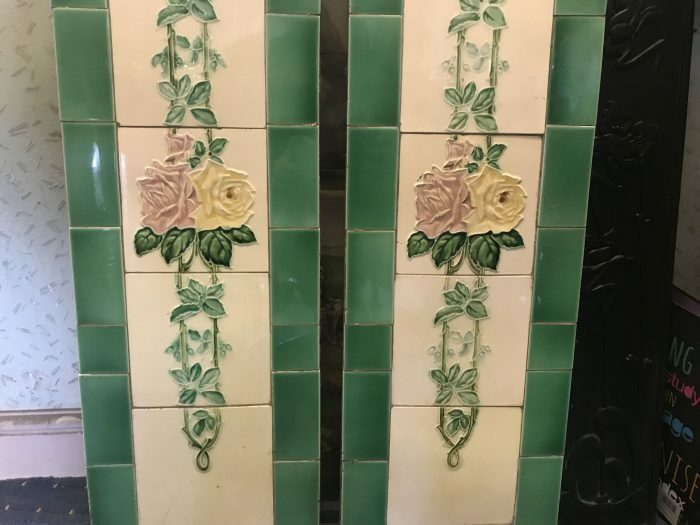 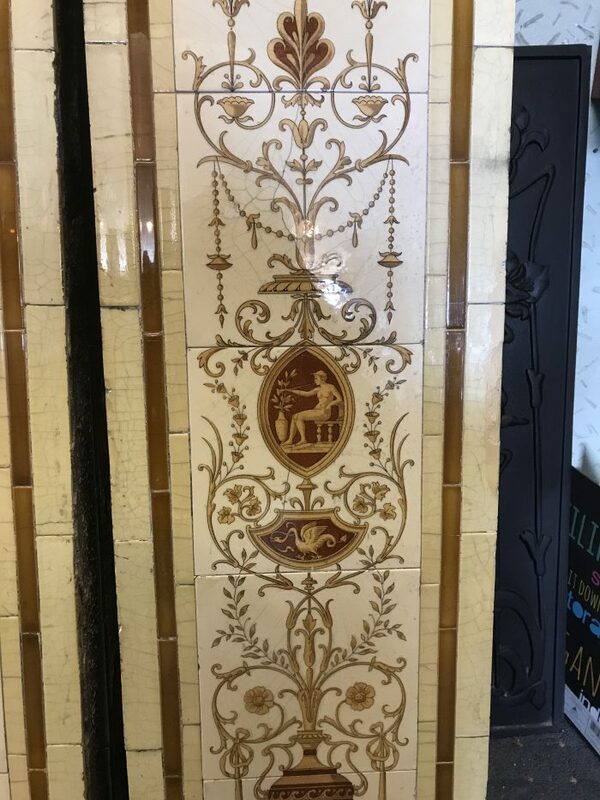 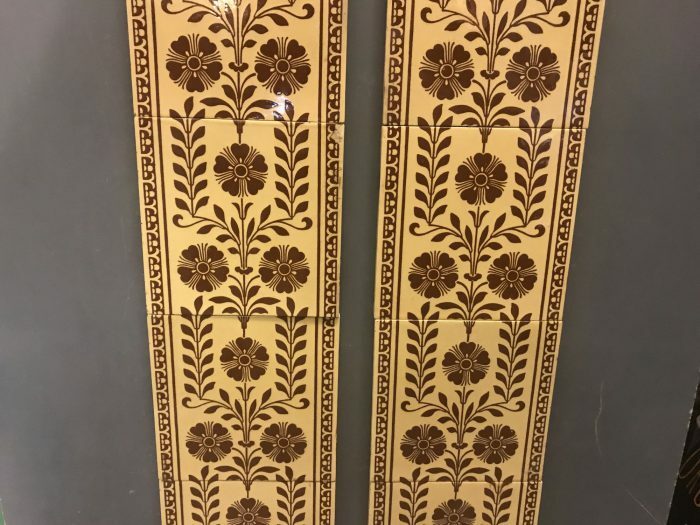 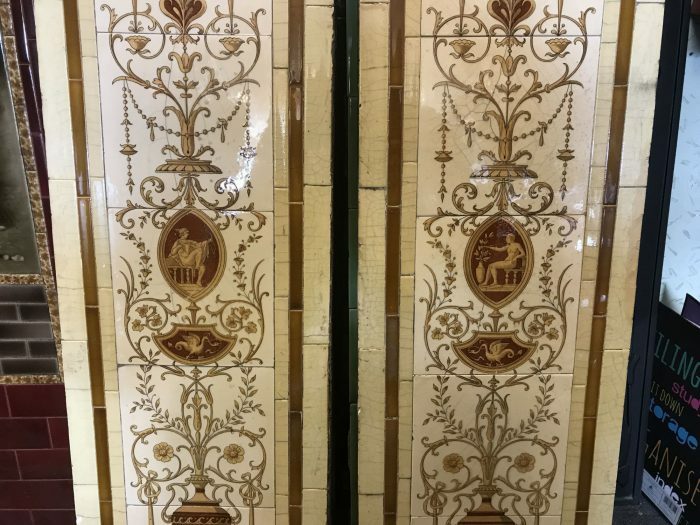 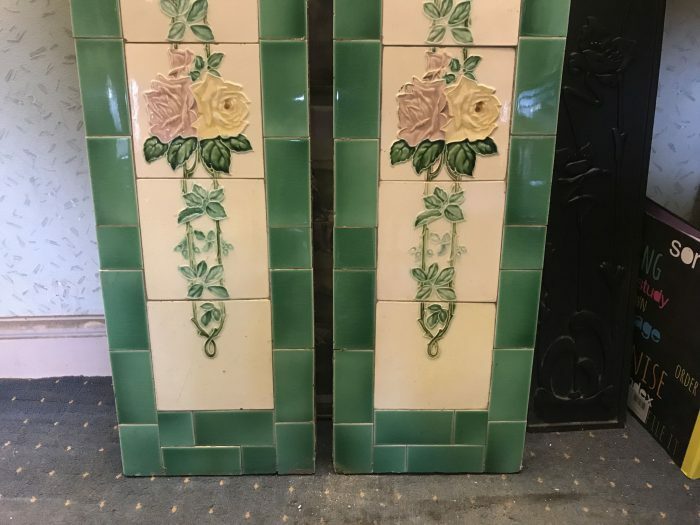 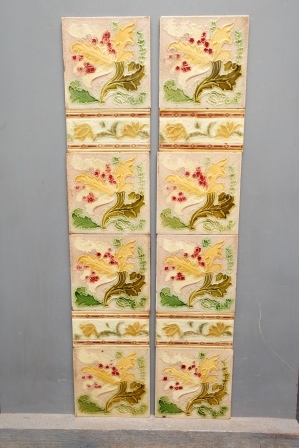 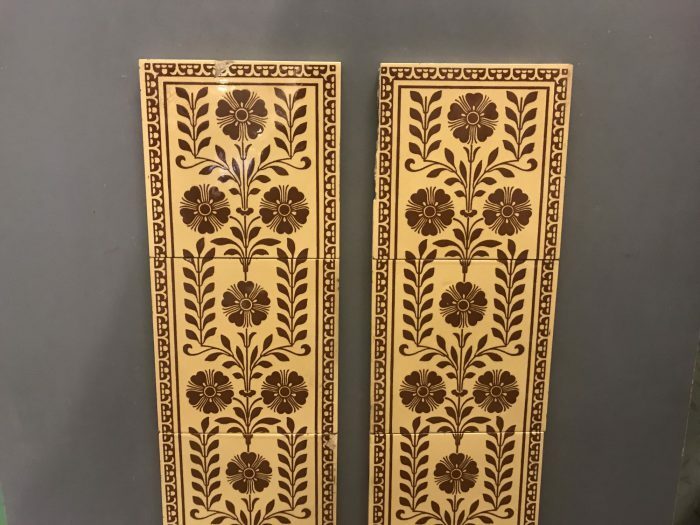 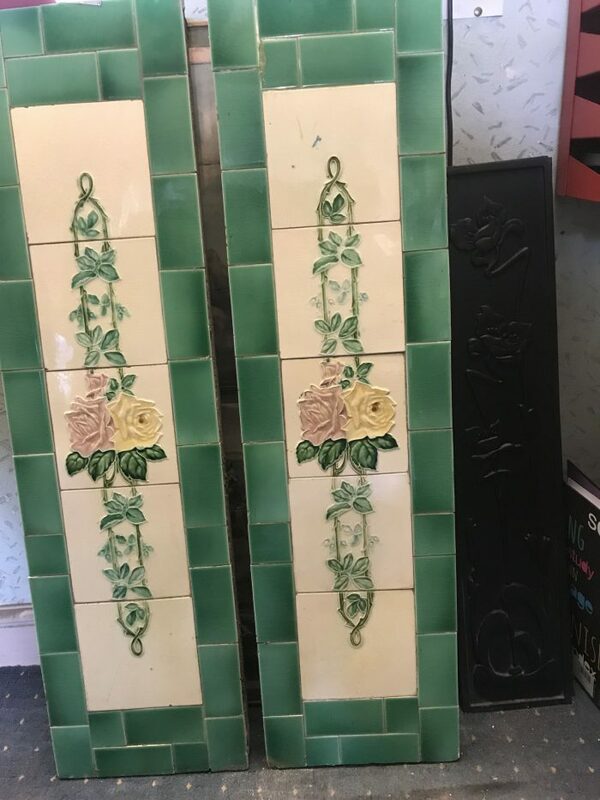 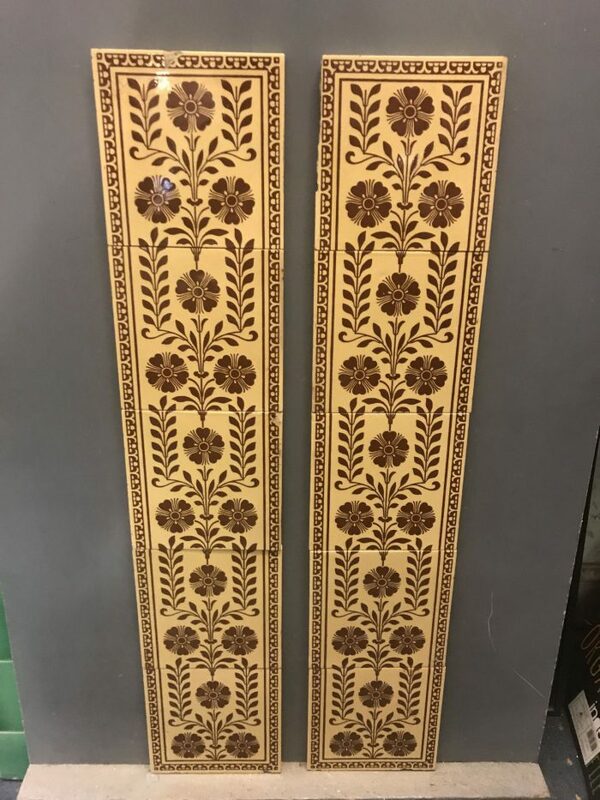 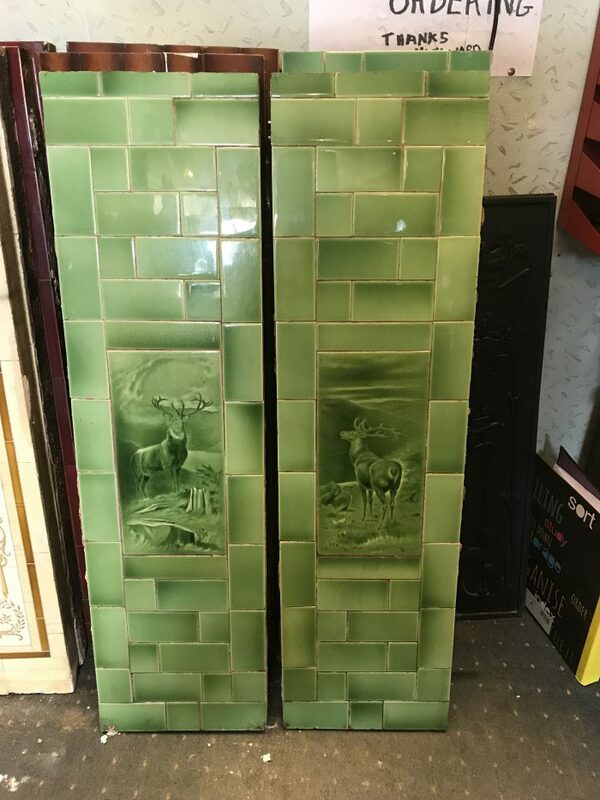 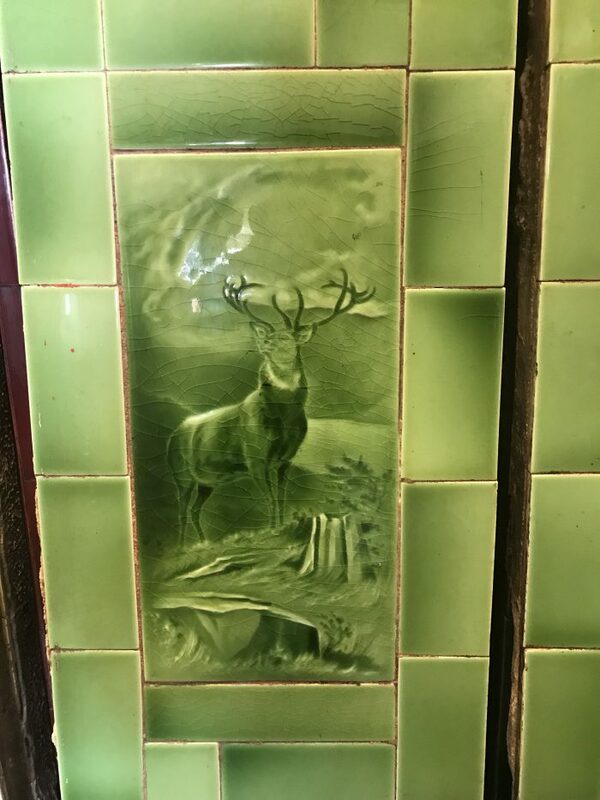 Tile panels by Sherwin & Cotton circa 1880. 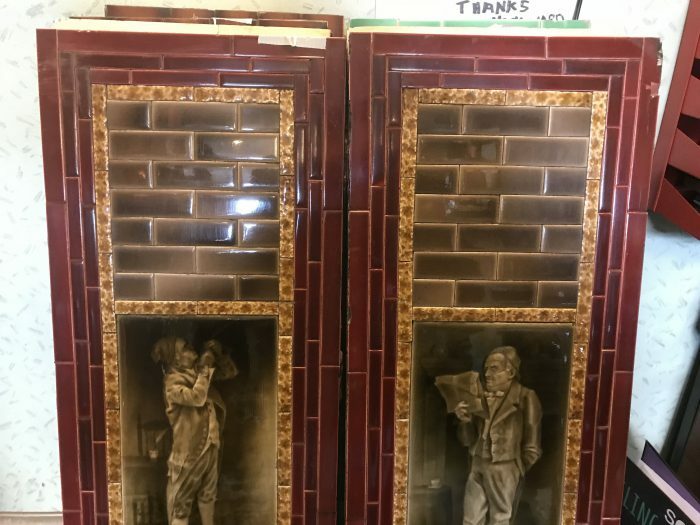 The Dickens characters. 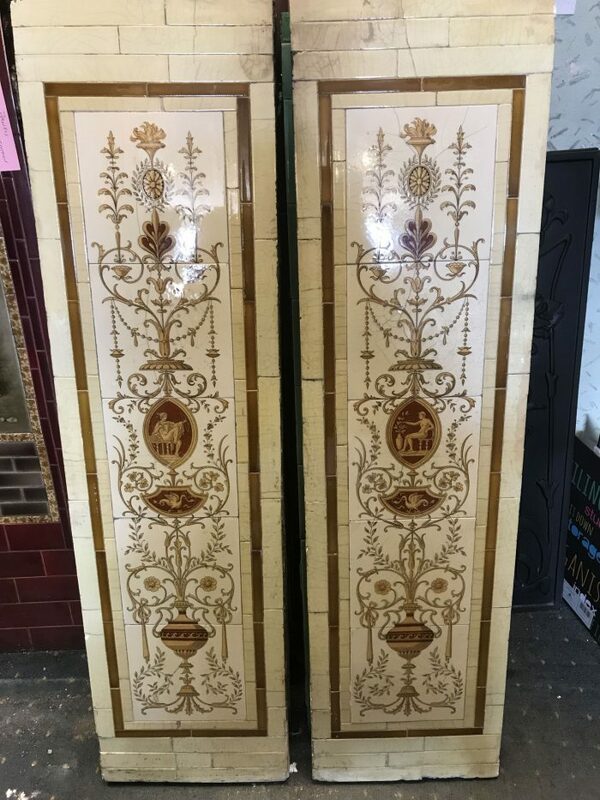 Please note these panels will not fit in a tiled insert or tiled register, only in an interior. 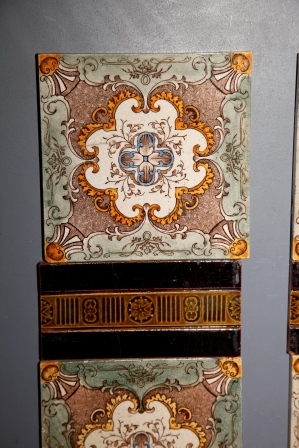 Tile panels by Sherwin & Cotton circa 1880. 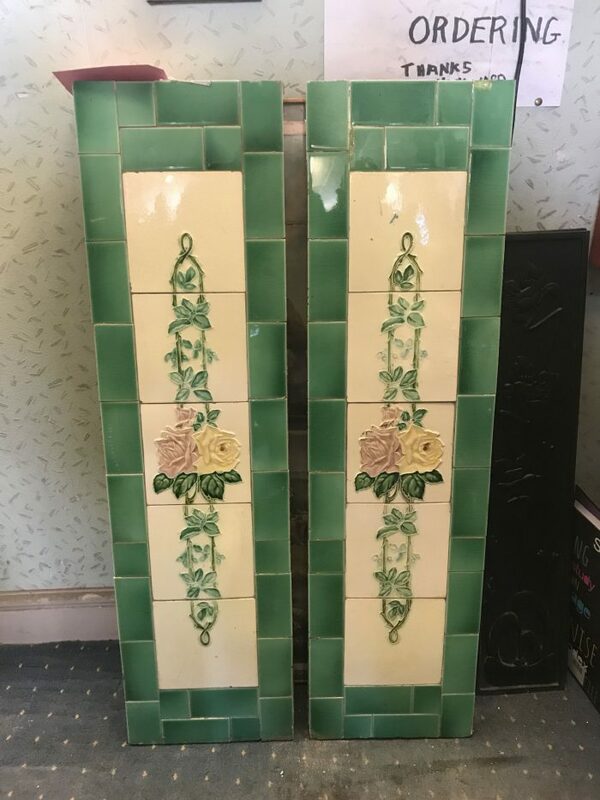 Please note these panels will not fit in a tiled insert or tiled register, only in an interior. 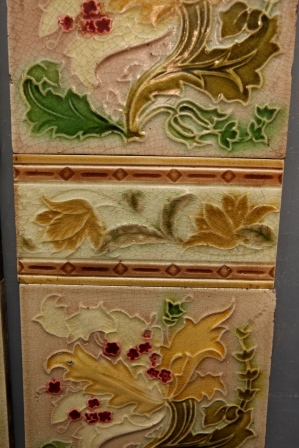 Tile panel by Sherwin & Cotton, circa 1880. 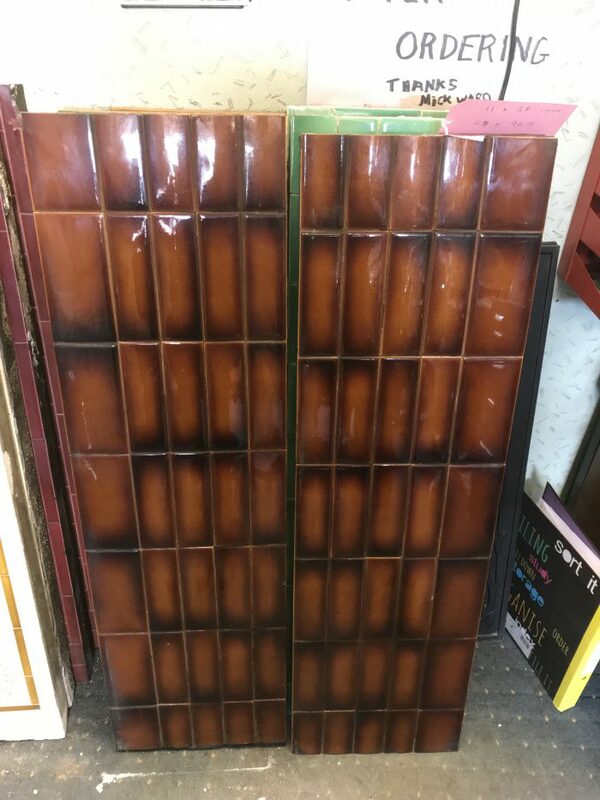 Please note these panels will not fit in a tiled insert or tiled register, only in an interior. 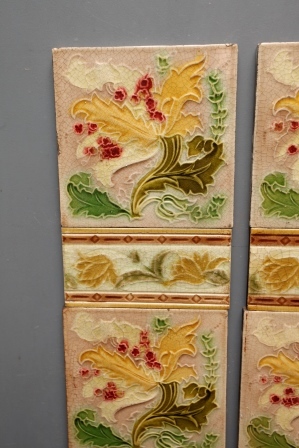 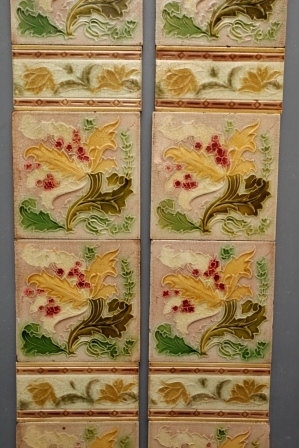 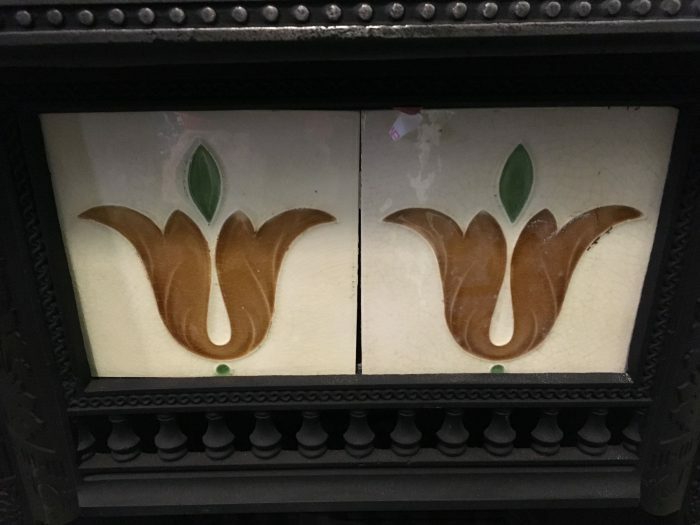 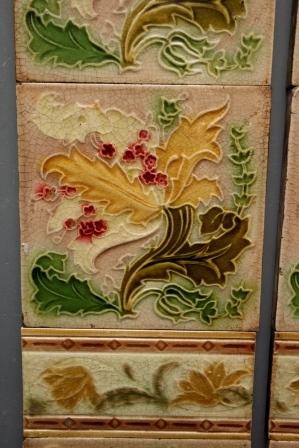 Art Nouveau dust pressed tiles by Man & Co circa 1900 - 1910. 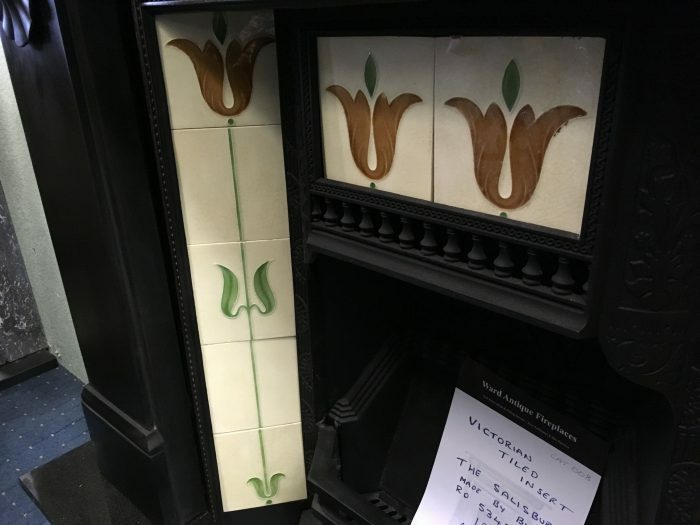 Very good manufacturer. 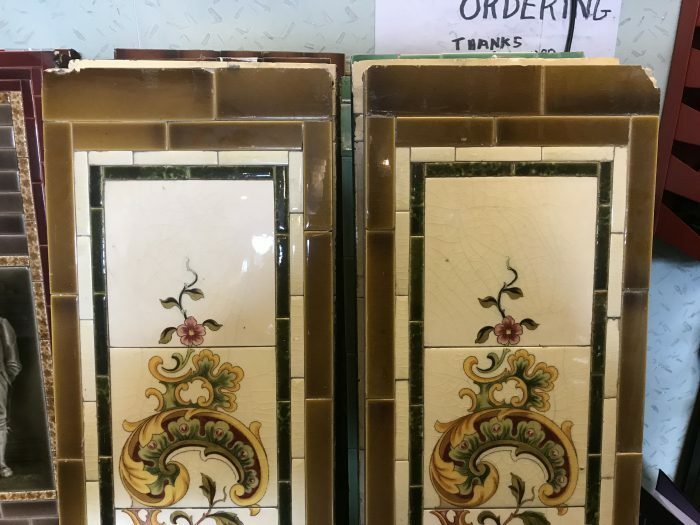 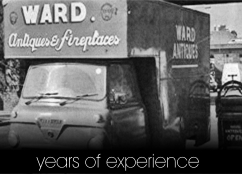 Mintons china works Stoke on trent. 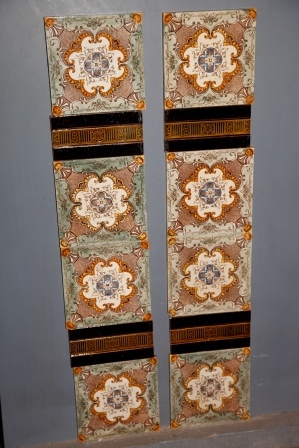 1868 - 1900. 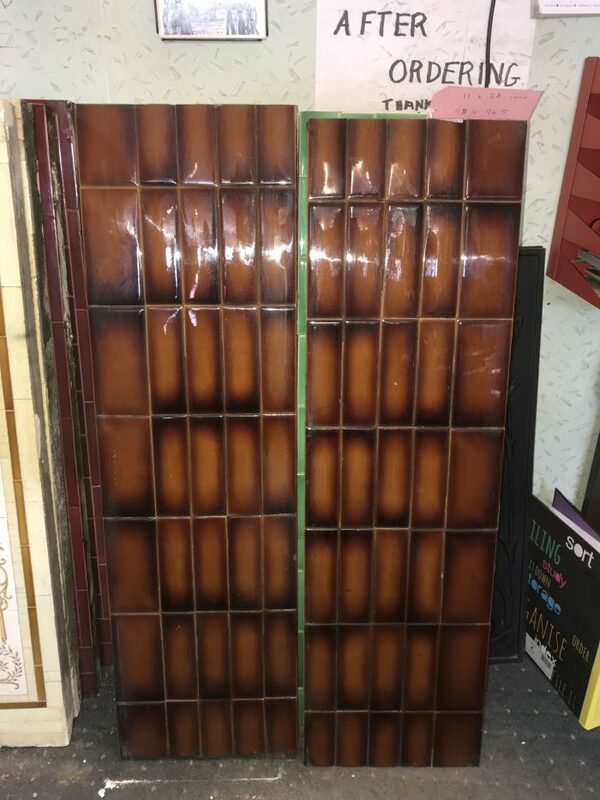 Age related chips.